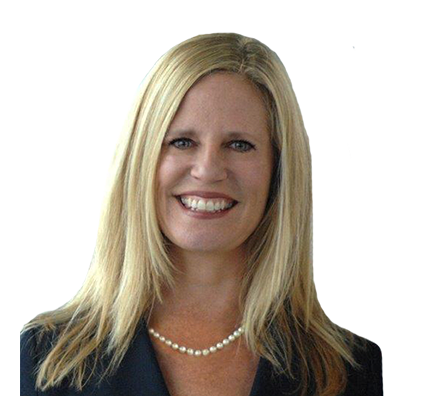 With more than 20 years of experience, Karen provides clients with zealous, responsive and personal representation both in and out of the courtroom, focusing her practice in the areas of trust, estate and fiduciary controversies, and business and commercial litigation. Karen represents individual and corporate fiduciaries or beneficiaries in complex controversies involving breach of fiduciary duty, fraud, conversion, conflicts of interest, lack of capacity, undue influence, will and trust construction, and claims arising under the Employee Retirement Income Security Act (ERISA). Karen welcomes the challenge of working on behalf of clients to resolve difficult issues that emerge oftentimes during emotional life circumstances. Karen also represents businesses in a variety of commercial disputes, including breach of contract, warranty, fraud and other business torts, and post-merger litigation. Using common sense and economic efficiency as guiding principles to reach pragmatic solutions, Karen regularly counsels clients on risk management and litigation avoidance strategies and alternative dispute resolution options. Dedicated to issues of diversity and inclusion, Karen serves on the firm’s Diversity Council. Advised institutional trustees in disputes involving the construction of estate planning documents. Represented individual trustees in contested proceedings involving claims of fiduciary duty, fraud and conflicts of interest brought by trust beneficiaries. Defended proponents of a will in a contest prosecuted by a previously named beneficiary of a testamentary charitable remainder trust involving complex issues of testamentary capacity, undue influence and standing. Represented the beneficiary of an estate in litigation with sibling to recover property for the estate and to have interests in a family limited partnership redeemed. Advised trust beneficiaries in probate proceedings involving claims of breach of fiduciary duty and breach of contract. Counseled individual and institutional creditors in probate proceedings. Represented a surviving spouse in classification proceedings brought by estate of deceased spouse, involving forensic accounting to trace rights in stock and interests in retirement plan assets. Represented individuals in intra-family disputes concerning elder abuse allegations. Defended a closely held company against claims arising under the Uniform Fiduciaries Act. Represented the remainder beneficiary of a marital trust in claims against the individual trustee. Defended distributor of power generation systems against multimillion-dollar breach of warranty and indemnification claims. Advised developer and operator of national fast-casual restaurants in multiparty real estate dispute involving the applicability and enforcement of restrictive use agreements. Represented a manufacturer and distributor of agricultural products against product defect and warranty claims in putative class action. Counseled an agricultural machinery manufacturer in subrogation action and prosecuted breach of contract and warranty counterclaims against component manufacturer. Represented an industrial air pollution control systems company in a variety of commercial and business matters, including noncompetition and nondisclosure agreements, and subcontractor risk assessment relating to multiparty construction projects. Advised a designer and installer of warehouse distribution systems in a variety of commercial and business matters. Represented closely held long-term healthcare company in litigation arising from foodborne illness outbreak at a long-term care facility. Advised financial institution in commercial foreclosure litigation. Counseled industrial radiator manufacturer on third-party contracting and post-asset purchase issues. Karen enjoys working out, reading and traveling with her family. Karen regularly participates in Pilates and yoga classes and reads contemporary fiction. She and her family spend time at their condominium in Door County, Wisconsin, on Sturgeon Bay and travel to warm, sandy beaches to escape the cold weather.